Tours with the Principal are available at anytime. Please ring the school office on 97232472 to arrange a time. The transition from kindergarten or childcare to school is an exciting time for your family. All children handle it in different ways. Some may seem more than ready well before the day and others will need a little extra support. Our transition program allows your child to become familiar with the school environment and the sorts of activities they will encounter. Your child will develop friendships with other children and a connection with their teacher well before the school year commences. Visit our school between 2.30 – 4.00pm or 6 – 7.30 pm. Children will read a book and enjoy an activity related to the story. Children will be actively involved in number activities in the Prep classroom. Children will take part in Perceptual Motor Program activities in our hall. They will be involved in gross and fine motor stations with Prep Teachers and Cameron Ross (P E Specialist). Children will create a piece of art work in the Art room with Prep Teachers and Cassie Mastoris (Art Specialist). Children will be actively involved in literacy activities in the Prep classroom. There are often many questions that new Prep Parents have when looking at a school for their child. Here is a list of questions that commonly come up for us here at Croydon Primary. We hope you find them helpful. If you have any further questions, please do not hesitate to contact the school to chat with our friendly staff, take a tour and meet our great teachers. When will my child eat? How does Croydon address bullying? At Croydon P.S. we have a policy of zero tolerance towards bullying. 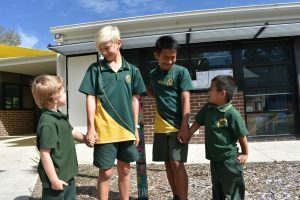 Through our Resilience and Respectful Relationships programs all students are explicitly taught and supported to develop healthy relationships and positive behaviours. Students are aware of the playground expectations and the process that exists if they cannot manage their behavior appropriately. 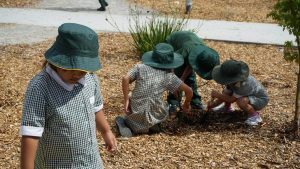 The yard is supervised at all times by teachers – before and after school and at recess and lunchtimes. With all these measures in place our yard has been described as having a “gentleness” about it. With such large grounds children are able to find places to play without conflict. The library and art room are open at breaks to allow students access to quiet spaces if necessary. The Chaplain spends time in the yard supporting students to build friendships. Our students care for each other across year levels and display the positive attitudes we foster. I love the expansive grounds at Croydon, which areas can my Prep child play in? We are so lucky to have beautiful grounds with lots of space for our students to enjoy. When the students are in the playground we have two teachers on duty at all times. These teachers wear fluorescent orange vests so that they are highly visible to the students. 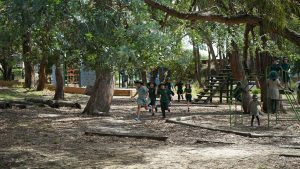 At the beginning of the year the Prep students have the junior playground to themselves and are supervised by their class teacher. When they are ready to join the rest of the school community their buddies support them during playtimes. 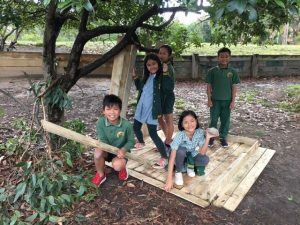 We do not have designated areas for junior and senior students to play, except for the adventure playgrounds, as these have been designed to be size appropriate. 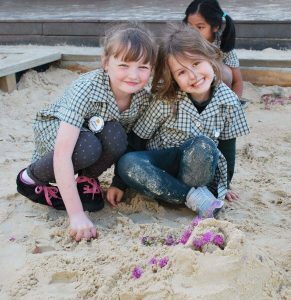 We find that our students play across levels, meeting in the sandpit and playing ball games on the oval or hard courts. Our borrowing systems allows students to play chess and snakes and ladders, draw with chalk and borrow costumes to use. Cubby houses are also built in cooperative groups under the treed play space. 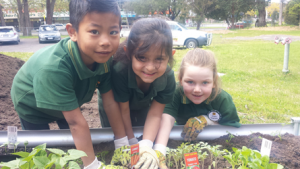 Do you have a Buddy Program at Croydon Primary? Every Prep student is paired with a Year Six buddy. We run buddy sessions every fortnight. Buddy activities may include computer skills, arts and crafts or team building games. The Year Six students also support their buddies in the yard and are on hand to help them to develop friendships. What happens if my child is hurt in the playground? As mentioned previously, there are always two teachers in the yard wearing fluorescent orange vests. They will assess your child’s injury. If first aid is deemed necessary, they will give your child a first aid pass. Your child will take the pass to the staffroom and a first aid qualified staff member will tend to your child. If it is a minor injury you will simply get a note in your child’s green pouch informing you that they have visited the first aid room and a short description of the incident. If the incident is more serious, you will be phoned immediately. It is important that your emergency contact details are always kept up to date at the office. We all know that life throws us some curveballs sometimes and running late on the odd occasion is not unusual. The yard duty teacher stays in the yard until 3.45. If there are still students in the yard they will then be looked after in the office until they are collected. You never need to worry that your child will be left in the school yard on their own. The best course of action is to call the school and let them know you are running late. If you will only be 5 minutes late your child can wait at the office until you arrive. The other option is to enrol them in the Out of School Hours Program. You can enrol your child early in the year and then use the program as required. Camp Australia provides a fabulous program for the children. It is also nice to know that you have a ‘back up option’ should you ever need it. Where do I go to buy a uniform? The school runs its own Uniform Shop. The shop is open on Friday afternoons from 3.00pm to coincide with Assembly. You can also order uniform at any time through the office and the items will be sent home with your child. How do I keep up to date with what’s happening at school? Your child will receive a “green satchel” with their book pack at the beginning of the year. All important correspondence will arrive home in the satchel. Your child will receive the school newsletter once a fortnight with information and diary dates. Your class teacher will also provide information on special events and excursions via notices in the satchel. The school website is also continually updated providing calendar dates and recent news items. How do the parent contributions work? At Croydon Primary School we endeavor to keep our annual parent contributions as low as possible. In 2018 they were $230. This includes items such as the student book bag, classroom resources, art materials and computer leases. Each term teachers organize incursions and excursions as part of the curriculum program. A notice will be sent home with the details and cost of the activity. This fee can be paid at the office anytime prior to the event. Activities change depending on the unit being taught. Regular activities will include swimming in Term 4 and the Prep breakfast. Camp Australia operate our before and after care program at Croydon Primary School. Coral is the co-ordinator and can be contacted via the school office number. Before care from 7.00am until 8.45am. Breakfast is provided. After care is from 3.30pm until 6.15pm. Afternoon tea is provided. We encourage all families to register with Camp Australia just in case you need to use the facility on a casual basis. Effective communication between teachers and parents at Croydon Primary School is made possible through several avenues during the school year. These include our school website, newsletters, school assemblies, information sessions, meetings, community events, parent/teacher conferences and individual progress reports. Information is also distributed by teachers to familiarise parents with their children’s day – to- day class activities. A newsletter is distributed fortnightly. Students bring them home Thursday afternoon and they are posted on the school website. School Assemblies are held every Friday afternoon at 3.00pm. Please find a map of our schools area on the CPS Travel Planner which shows supervised, pedestrian and train crossings in the area. Is kik ok for kids?